Colorful and trendy! 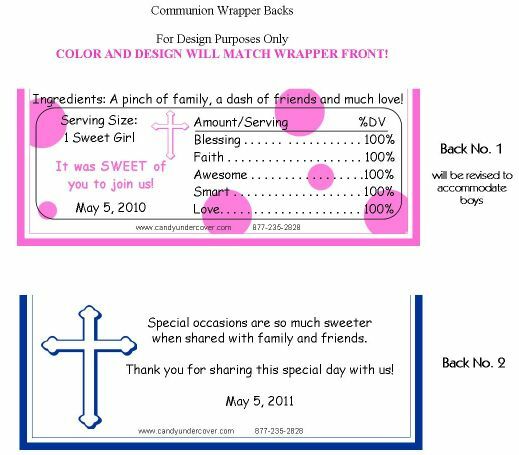 Our hot pink dot Communion Candy Wrappers are so festive! Perfect for your special day. 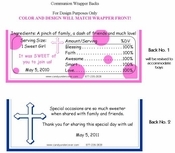 Complete with your child's name and date of Communion, this beautiful Candy Bar Wrapper wrapped around a delicious chocolate bar will make your First Holy Communion Favor so SWEET!